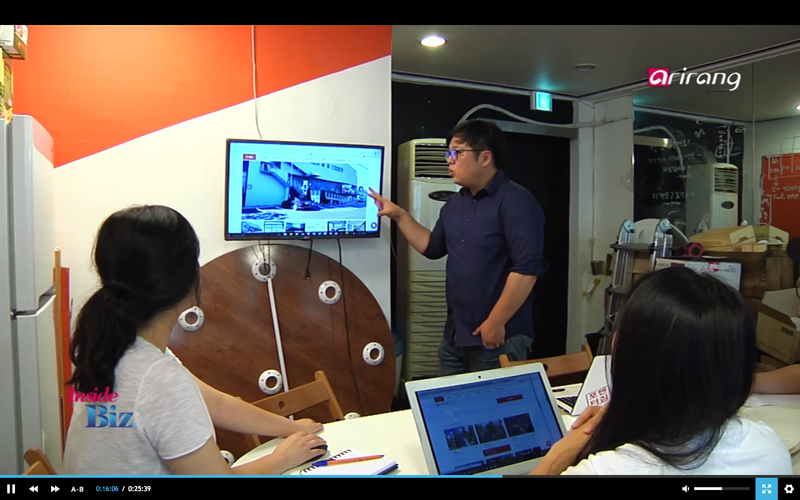 Along with the opening of the era of the fourth industrial revolution, InsideBiz keeps you up to date on recent trends in Korea's business sector and promotes the advanced economy of Korea to our global audience. InsideBiz also spreads the numerous excellent works on the Korean design industry throughout the world to improve its status within the global society. This 21th episode is about current change on wedding trends and its effects on the industry in Korea. 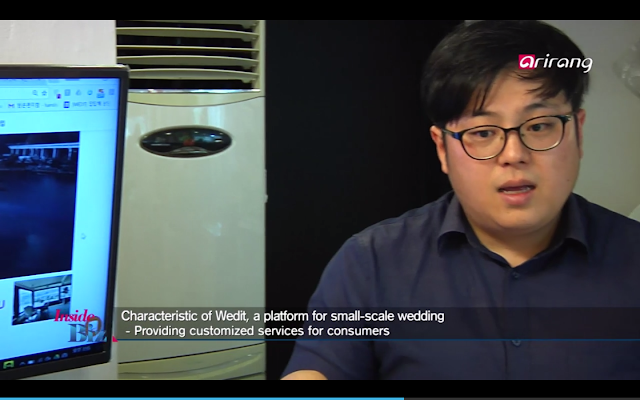 And Wedit is introduced as the only platform in Korea for small-scale wedding ceremonies. Followings are descriptions and the interview of Wedit CEO. There’s a new platform that has emerged along with the changing trends in the wedding culture. 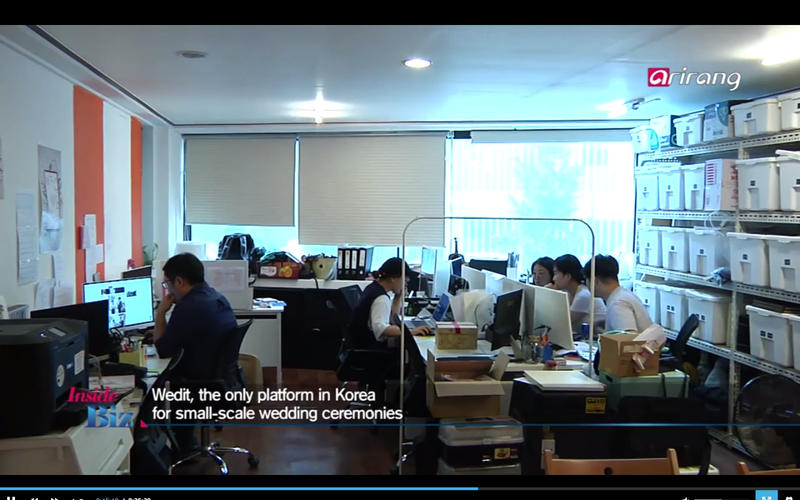 It’s the wedit a platform for small scale wedding ceremonies. It provides informational wedding venues and pre wedding photo shoots that people can prepare themselves and also they introduce customers to a lot of wedding companies. 변화하는 웨딩 트렌드에 발밪추어 출시된 플랫폼이 있다. 바로 웨딧이라는 작은규모의 결혼식을 위한 플랫폼이다. 사람들이 스스로 웨딩을 준비할 수 있도록 웨딩장소, 스냅 등에 대한 정보를 제공함과 동시에 고객들에게 다양한 업체를 소개시켜주고 있다. A lot of grooms and brides tend to start preparations without any information. So we collect a lot of different information on wedding ceremonies and give them support to compare the prices and we make suggestions for them. It is a system that helps people better prepare for their own wedding ceremonies. About 150 companies related to the small scale wedding ceremony have registered for the platform. They’ve given support for people who prepare for small and simple wedding ceremonies by considering their different taste and economic conditions. 이 플랫폼에는 약 150개 정도의 스몰웨딩 관련 업체들이 등록되어있다. 신랑신부의 각기 다른 취향과 상황을 고려하여 작고 심플한 결혼식을 준비하는 사람들을 도와주고 있다. It was such an honor to be featured as a trend-leader company of Korean wedding industry. We always try our best to provide optimized service. Hope we could reach out to more customers who are in need. If you need any help or have any inquiries about preparing a wedding in Korea, please contact us through the e-mail(hello@wedit.kr) or chatting system in our website(http://wedit.kr).